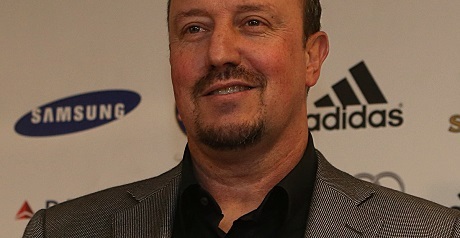 Rafael Benitez paid tribute to record-breaker Frank Lampard – but refused to be drawn on the midfielder’s Chelsea future. Lampard scored the fourth of eight Blues goals against Aston Villa and in the process became the club’s highest top-flight scorer, breaking Bobby Tambling’s record. However, the England man has yet to be offered a new deal by the club and has been tipped to move on – perhaps as early as January. Benitez insisted Lampard was “an important player”, hinting he would want him to stay at least until the end of the season. The interim manager added: “He’s training well, I was really pleased for him scoring the goal and getting the record, so everything’s positive.